A virgin has a lot of expectations. He plays his first scene over and over his head, picturing how it would go. Depending on his imagination, it could be as simple as a quiet tryst, or complete with fireworks and explosions in the sky. I’m still a virgin in many ways, and I lost my Wanderland virginity this year. I imagined it to be quite the experience, but it lived up to be so much more. This year had an interesting lineup. The headliners were The Temper Trap and The Ting Tings, and they were joined by Explosions in the Sky, Yuna, Purity Ring, HONNE, LANY, and Woodlock. Locally, there was UDD (formerly known as Up Dharma Down), Gab and John of Urbandub, Tom’s Story, Fools and Foes, and Reese Lansangan, along with the winners of the Wanderband competition, Banna Harbera, Lola Amour, and Mickey Sulit. The Wanderland Music and Arts Festival is coming up next week, and I’m thrilled because this will be my first! I’ve only been to one music festival (the 7107 International Music Festival in 2014), so I’m looking forward to reliving the fun I had in Clark. I gave up on the party scene in my early twenties. At that point, going to a club to get wrecked (sorry, my age is showing) didn’t appeal to me anymore, and I much preferred staying in or hanging out at a Starbucks somewhere. If I was in the mood to drink, I would choose a quiet bar or lounge where my friends and I could actually talk. I also gave up beer for wine. I wasn’t always this boring. I started partying when I was 15 years old, back when Valkyrie or even Embassy didn’t even exist. The clubs everyone went to were Absinthe and Temple in Greenbelt or Basement and Ipanema in Eastwood. I also went to pre-Nectar gay clubs Bed and Government. I peaked too early so I became a tita early. So when I was invited to the Silent Disco, a headphone party in the Ayala Triangle, I thought I would hate it. I am a casual fan of Pentatonix, but when my friend offered a good seat for half the price, I couldn’t say no. Pentatonix is an a cappella group composed of Avi Kaplan, Scott Hoying, Kirstin Maldonado, Kevin Olusola, and Mitch Grassi, and became famous for winning the third season of The Sing-Off, an a cappella singing competition. After they won, they hosted a popular YouTube channel where they do covers, medleys, and originals. 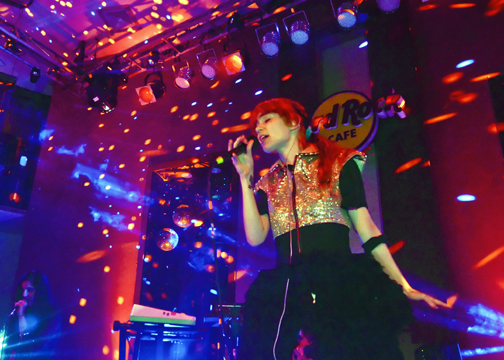 Last Thursday, Grimes was in the country for a one-night only performance at the Hard Rock Cafe in Makati. I first heard of Grimes a couple of weeks ago through my high school friend, who I recently re-connected with since going our separate ways in college. He introduced me to Oblivion, and I was hooked. Then after a few days, I found out that she will be performing here. Perfect. 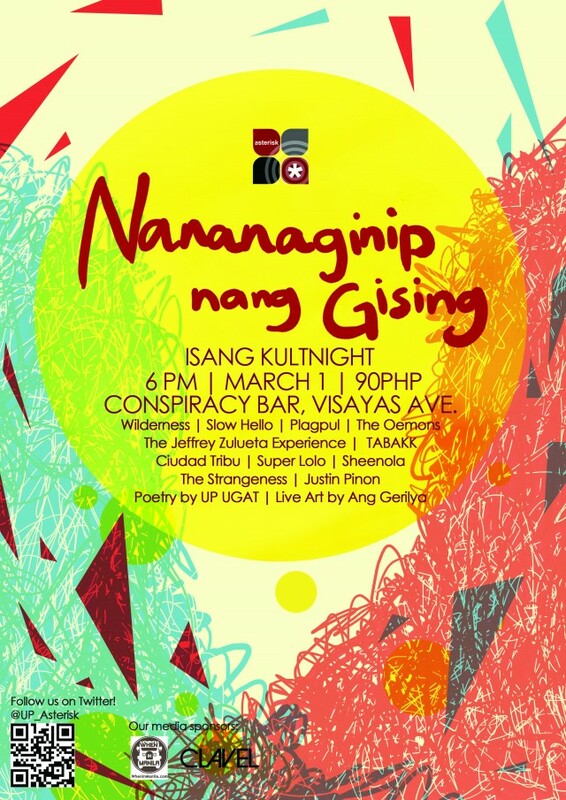 Last Friday, I was in Conspiracy Bar in Quezon City to support my friend Stefan for Nananaginip Nang Gising. The event is the seventh year anniversary and cult night of Asterisk, the three-time Outstanding Arts and Letters-Based Organization in UP Diliman. Stefan handles social media, and he does a great job of it because I usually get events to feature for Supreme from him. 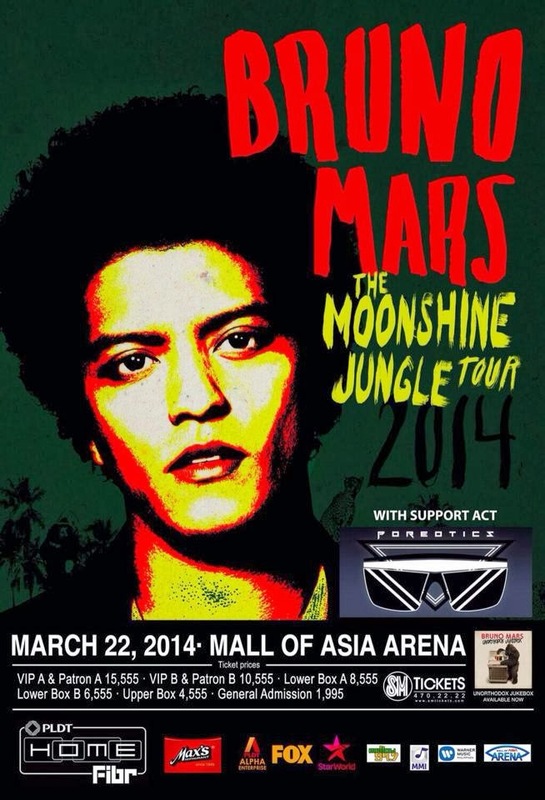 He did the marketing for the event and he invited me, Nikko, and Erin Emocling to represent When In Manila.